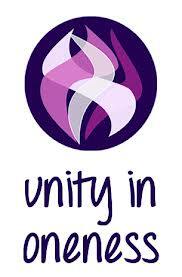 When you are beginning an energy healing, you need your spiritual healing and support team to be with you. You decide who you want to be there with you to help you with your energy healing. I would recommend Arch Angel Michael to protect you and the person you are healing. 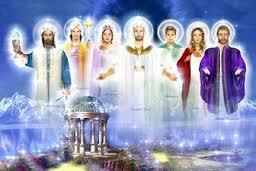 I would recommend Arch Angel Raphael as he is the Arch Angel of healing. 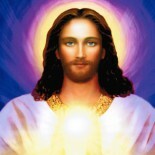 I would recommend Jesus and Sananda as they are both excellent healers. I would also recommend Lady Nada and Lady Portia to help remove unwanted cords and attachments and karma. And let’s not forget Saint Germain who is the keeper of the violet fame. Lastly ask your spirit guide to be with you. You can also ask anyone you feel a strong connection to, like additional Arch Angels and Ascended Masters, not mentioned here, to be with you. Remember that energy follows your intention. So if you ask them to be there with you and if this is your intention, they will hear you and they will be there with you supporting you. This is the case even though you may not see them. Trust that they have heard you and that they are with you. Do not doubt their presence with you. I always bring the above spiritual beings and team to every healing that I perform. In addition, always ask the higher self of the person you are healing to be with you. Lastly, I always ask that anyone that knows the person being healed, from this lifetime or another lifetime, to be present (if they want to) to give their blessings, support and love to the healing and the person being healed. This could be a twin flame, a soul mate or an ancestor that died in this life or a past life. I ask that they only be present if their intention is pure and of love and if they are of the highest and brightest light. So the very first thing that I do before an energy healing is wash my hands to make sure they are clean. Then I sit down in a desk that I have in my office, close my eyes and say the invocations below in my head. I now say this invocation two times with intention, focus, love, humbleness and gratitude. Lord, make me thy healing instrument. Let my entire being be filled with compassion for others who are suffering. Lord, let your healing and regenerating power flow through my body. With thanks and in full faith. Say this invocation with meaning and intent and conviction two times. Pause and feel the energy of these words and be humbled by this. You are asking for Mother / Father God to be with you to help you during the energy healing. The next thing that I do is I set and create an aura protection shield around myself and the person I am healing. I will post this invocation in another post as it is too lengthy to include in this posting. After this invocation, I bring in my spiritual team. Arch Angel Michael, please be with me now and throughout this healing. Please protect me and ____________ (the name of the person being healed) from any negative beings, from any negative energies and from any negative thoughts or negative elementals. Please protect us from anything and anyone that is not of the highest white light and that is not for our highest and best good. Please place both of us and this healing space inside a protective bubble and fill this bubble with white light and love and stand guard with your full presence during the energy healing. I thank you and I love you. Pause a few moments after you say this. Feel Arch Angel Michael coming close to you. Try to imagine and see him there in your third eye. What does he look like? What is he wearing? What is he holding in his hands, if anything. What colors are around him? Feel and see white light around you with some blue. Feel his energies and his presence. Breathe slowly and deeply and just feel. Tell him hello and smile. See him smiling back at you and saying hello to you. Know that he is there and that you are protected and loved by him. Arch Angel Raphael, please be with me now and throughout this healing. Please guide me during the healing. Allow your guidance and love to flow through my body so that I can properly help heal ________________ (person being healed). I thank you and I love you. Pause a few moments after you say this. Feel Arch Angel Raphael coming close to you. Try to imagine and see him there in your third eye. What does he look like? What is he wearing? What is he holding in his hands, if anything. What colors are around him? Visualize emerald green around you. Feel his energies and his presence. Breathe slowly and deeply and just feel. Tell him hello and smile. See him smiling back at you and saying hello to you. Know that he is there and that you are guided and loved by him. Jesus, please be with me now and throughout this healing. Please give me your healing abilities and capabilities to help heal _____________(person being healed). I thank you and I love you. Pause a few moments after you say this. Feel Jesus coming close to you. Try to imagine and see him there in your third eye. What does he look like? What is he wearing? What is he holding in his hands, if anything. What colors are around him? Visualize gold around you. Feel his energies and his presence. Breathe slowly and deeply and just feel. Tell him hello and smile. See him smiling back at you and saying hello to you. Know that he is there and that you are guided and loved by him. Saint Germain, please be with me now and throughout this healing. Please allow me to use your violet flame when I call on it during the healing of ____________(person I am healing). I thank you and I love you. Pause a few moments after you say this. Feel Saint Germain coming close to you. Try to imagine and see him there in your third eye. What does he look like? What is he wearing? What is he holding in his hands, if anything. What colors are around him? Visualize violet around you. Feel his energies and his presence. Breathe slowly and deeply and just feel. Tell him hello and smile. See him smiling back at you and saying hello to you. Know that he is there and that you are guided and loved by him. W, please be with me now and throughout this healing. Please guide me in all areas of this healing of ____________(person being healed). I thank you and I love you. You can avoid this step or bring in your own master guide, if you have one. Mom, Mary Bojarski and your higher self and full essence, please be with me now and throughout this energy healing. Please oversee this healing of __________(person being healed). Allow everything to go for the highest good of all involved. I thank you and I love you. You can avoid this step. X please be with me now and throughout this healing of _________(person being healed). Please guide me during this healing for our best and highest good. I thank you and I love you. Do this with your spirit guide. We all have a spirit guide. Pause a few moments after you say this. Feel your spirit guide coming close to you. Is your spirit guide male or female? Try to imagine and see him/her there in your third eye. What does he/she look like? What is he/she wearing? What is he/she holding in his/her hands, if anything. What colors are around him/her? Feel his/her energies and his/her presence. Breathe slowly and deeply and just feel. Tell him/her hello and smile. See him/her smiling back at you and saying hello to you. Know that he/she is there and that you are guided and loved by him/her. 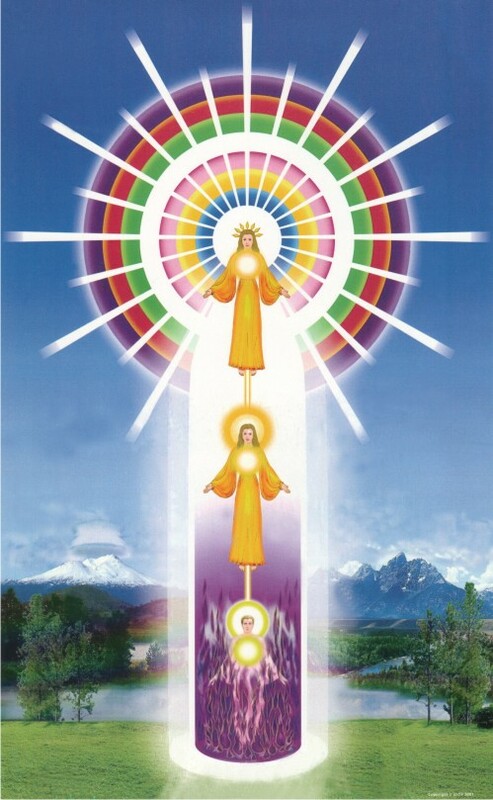 Sananda, please be with me now and throughout this healing of ______________(person being healed). Please give me your healing abilities so the healing can go as smoothly as possible for the best and highest good of all involved. I thank you and I love you. Pause a few moments after you say this. Feel Sananda coming close to you. Try to imagine and see him there in your third eye. What does he look like? What is he wearing? What is he holding in his hands, if anything. Lady Nada, please be with me now and throughout this healing of ________(person being healed). Please remove all attachments and cords from this life and all past lives that do not serve their highest good and please remove all karma that can be removed. I thank you and I love you. Pause a few moments after you say this. Feel Lady Nada coming close to you. Try to imagine and see her there in your third eye. What does she look like? What is she wearing? What is she holding in her hands, if anything. What colors are around her? Feel her energies and her presence. Breathe slowly and deeply and just feel. Tell her hello and smile. See her smiling back at you and saying hello to you. Know that she is there and that you are guided and loved by her. Lady Portia, please be with me now and throughout this healing of ________(person being healed). Please remove all attachments and cords from this life and all past lives that do not serve their highest good and please remove all karma that can be removed. I thank you and I love you. Pause a few moments after you say this. Feel Lady Portia coming close to you. Try to imagine and see her there in your third eye. What does she look like? What is she wearing? What is she holding in her hands, if anything. Higher self of ___________(person being healed), please be with me now and throughout this healing. Please allow healing energies to be absorbed by __________(person being healed). Allow the healing energies to help __________(person being healed) do what is in his/her highest and best good, with grace. I thank you and I love you. I ask anyone that may know __________(person being healed) to be here with me now. If you are from the highest and brightest white light, please send me your blessings and love and support to help heal __________(person being healed). I thank you and I love you. This could be anyone that may have died, or an ancestor from a past life or anyone that knows the person being healed on a subconscious level. I now connect to the beautiful healing energy of Mother / Father God. This beautiful and Divine healing energy now flows through my hands, my arms, my physical body, my mental body, my emotional body, my spiritual body, my etheric body, my chakras, my aura and my entire energy system. The energies now build in my body as I take deep breaths. As I take deep breaths I open up my palm chakras so the energies can flow through God’s heart, through my heart, out my hands and palms and through ___________(person being healed) heart. I then take twelve long and slow deep in breaths and hold for a five count for each breath and then release and exhale slowly. As I am doing this, I open up my palm chakras by pressing my right thumb into my left palm area for six in and out breaths. Then I change hands and for six in and out breaths I press my left thumb into my right palm. 12 full breaths complete the process. Now, my palm chakras are open and I feel so much energy in my hands, fingers and palms. I now stand up, then dim my lights, I light two candles to show respect (one for the spiritual support team and one for the person being healed) and I play meditation music. The meditation music that I play for every healing can be found my clicking HERE. This is the link. These are delta waves and you can use them also when you meditate to find the stillness in your heart and mind to help your connect with your higher self. I am sitting behind my desk when I say and do all of these things. Now the healing is ready to begin. As mentioned, I get up from my chair and close all doors so I am not interrupted. I then stand in front of my reclining chair where I envision the person lying down. I raise my arms out bent at a 90 degree angle from my body with the palms outward and I close my eyes. My hands are just in front of me. Arch Angel Michael, please be with me and protect us, I thank you and I love you. Arch Angel Raphael, please be with me to guide me, I thank you and I love you. Jesus please be with me to give me your healing abilities, I thank you and I love you. W, please be with me to guide and support me, I thank you and I love you. Mom, Mary Bojarski and your higher self and essence, please be with me to oversee this healing, I thank you and I love you. Saint Germain, please me with me to allow me to use your violet flame, I thank you and I love you. X please be with me to guide me as best as you can, I thank you and I love you. Sananda, please be with me to give me your healing abilities, I thank you and I love you. Lady Portia please be with me to remove karma and all cords and attachments, I thank you and I love you. Lady Nada please be with me to remove karma and all cords and attachments, I thank you and I love you. Higher Self of _________(person being healed), please be with me and allow God’s healing energies to be absorbed by _________(person being healed). I thank you and I love you. And anyone else that knows __________(person being healed), please be with me to give your love, support and blessings. I thank you and I love you. Mother / Father God, I now ask for your blessings and your love for this healing and for this beautiful soul being healed. With full faith, I thank You. After I say this, I sit down on a small stool that is sitting at the back of the reclining chair so that the person’s crown and head is now in front of me. And now I can begin the energy healing. The next posts will go into detail on what I do during the healings. I am sorry for the length of this post. All of you can do this and all of you can heal. You need desire and intention and dedication and love. I am sending all of you lots of love and many blessings. Love. when I did a healing and sent energy to my sister who was having problems delivering her son – I lay on my bed and prayed intensely and demanded the energy be sent to her – realized I made the connection when I heard her say ” we are so weak ” ; heard her voice in my head – she was at the hospital, I was at home. 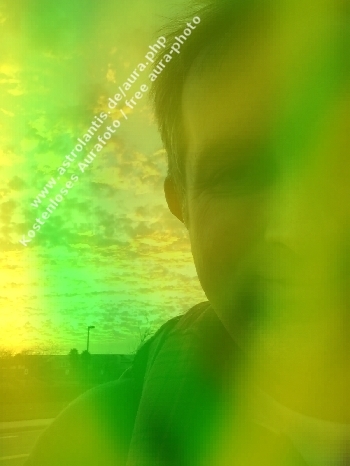 So, I intensified the prayer – she said later she saw my face and then felt the energy. I didn’t say a specific prayer or asked for angels or protection – I prayed with all my being, heart and feelings. I also demanded – not commanded – only demanded the energy. sorry, but to heal another person, or you have to invite each other to this end and with so many saints == beings, not just Jesus Christ, or for example Saint Michael? sorry, but to heal another person, then you need to invite albosiebie for this purpose and with so many saints == beings, not just Jesus Christ, or for example Saint Michael? Andrew, I am grateful for your knowledge and guidance. Love & peace. Hi Andy! I would like to book an energy healing please. Ok, I will do that very soon. Thank you! This entry was posted on June 28, 2013 by Andrew Bojarski in Andrew's Posts and tagged Arch Angels, Ascended Masters, Ascension, Awakening, Channeling, Energy, Energy Healing, Healing, Higher Self, Love, Meditation, Spirituality.